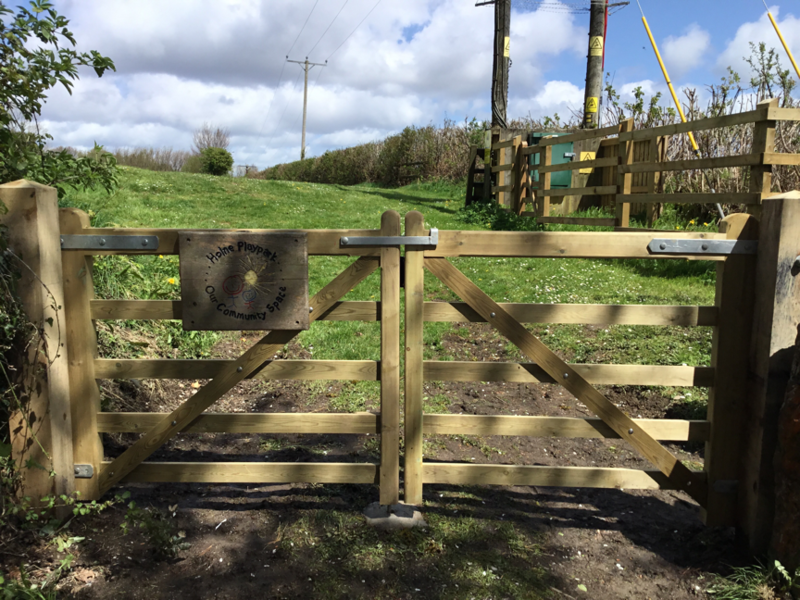 Holne Playpark – an idyllic rural play area - now has a fantastic new entrance gateway, and more seating, thanks to funding from Dartmoor National Park Authority and Holne Books – (who sell donated second-hand books to raise funds for community projects and Devon Air Ambulance) and help from volunteers. It was important that these access improvements were carried out to provide easier, safer and more inclusive access. This lovely playpark on the edge of Dartmoor now has many visitors, and further seating was also needed. With the sun hopefully continuing to shine for the summer holidays – the playpark is now ready for the many locals, and visitors from near and far to enjoy. And after their visit to playpark they can then pop down the road for a nice cuppa and a slice of cake, lunch or a lolly at the Holne Community Shop and Tearoom! The play park at Holne is managed and run by a dedicated team of volunteers.